View your docket in PC JIMS. Orange shows which litigants and attorneys are present when the bailiff checks people in as they arrive. Then use PC JIMS for one-click access to PC JIMS IMAGING documents. Record necessary record sheet entries in PC JIMS. Some courts use transcription software for this purpose. The same tools let judges prepare in advance for the next day’s docket. 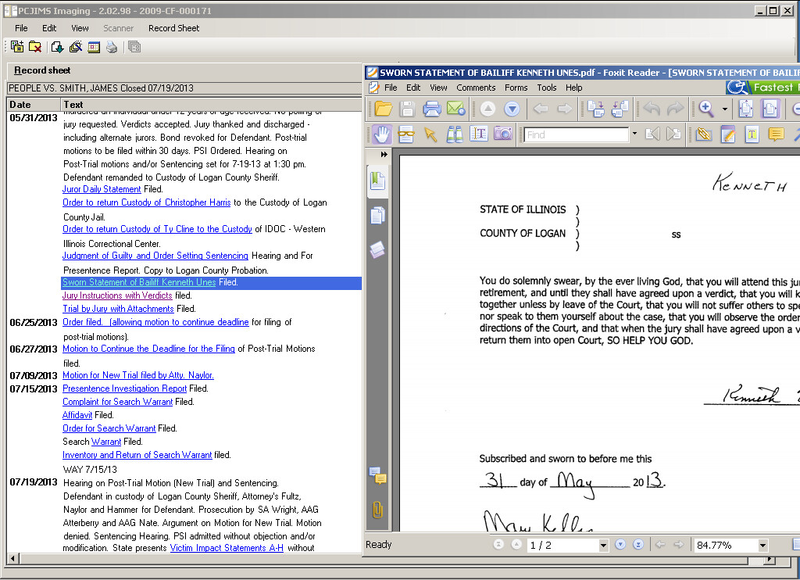 When not at court, judges can use their free subscription for similar docket driven access to documents. See Services for Judges to learn more.